All the chainsaws and other machinery used by Delta Coring are industrial grade and specially designed for the toughest of commercial projects that require cutting and sawing of concrete or wooden surfaces. Our range of chainsaw equipment has been tried and tested on numerous commercial jobs and have delivered only the best results on every project. We are one of the only businesses in the whole of Saskatoon who offer both Concrete Sawing as well as Chain Sawing services together. We understand that some projects require the use of wall saws to cut through concrete, but others may only require the use of a simple chainsaw to do the job. Thus, we at Delta Coring have decided to offer our clients our chain sawing services as well in case it is required for any commercial project. 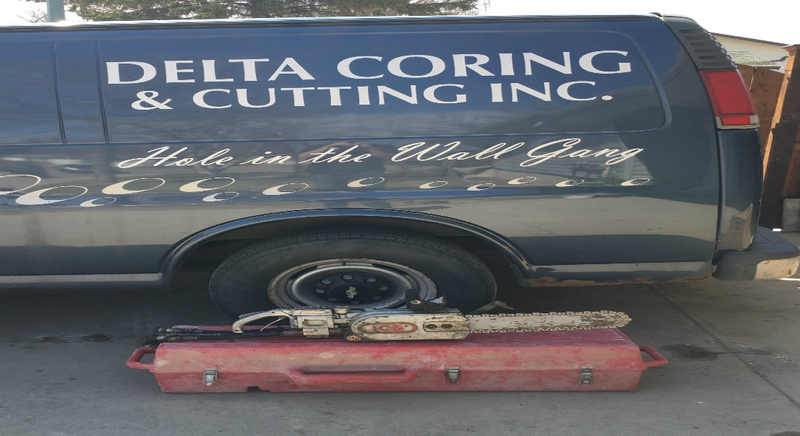 Many companies offer just concrete sawing and cutting tools with wall sawing blades, but at Delta Coring you will have access to our industrial grade chain saws for those parts of your project in which normal wall or concrete saw will not be suitable. Hence, when you hire us, your project will not be stalled at any point as we use only the best tools and equipment that are capable of sawing through various types of materials. If you were in need of chain sawing services for your commercial project, then look no further. Call us today on (306) 242-7747 and we will offer you our commercial chain sawing service at a reasonable rate. Also, if you wish to share more details of your upcoming commercial project with us, then we will be available to help you understand what services would be best for you. All you have to do is send us an email on deltacoring@sasktel.net with your questions and one of our team members will write back to you with information that you require.